Everybody voted. 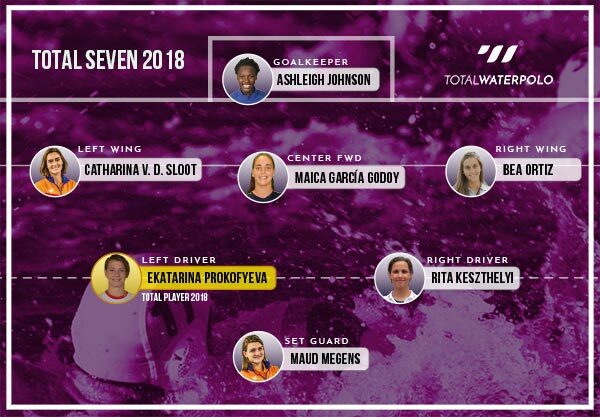 Two athletes rose to the most prestigious title among the international water polo community:The Total Player 2018 Award concluded on Monday, the 17th of December, following 46 votes from the expert jury and more than 25 thousand audience votes. 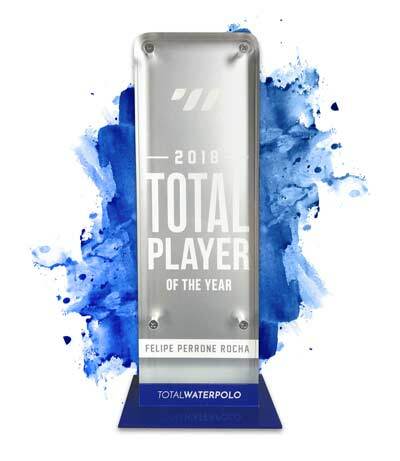 The winner in the male category is the Spanish national team player Felipe Perrone, while the first female to win the title is Russia's Ekaterina Prokofyeva! Toggle the tabs to switch between male and female ranking. 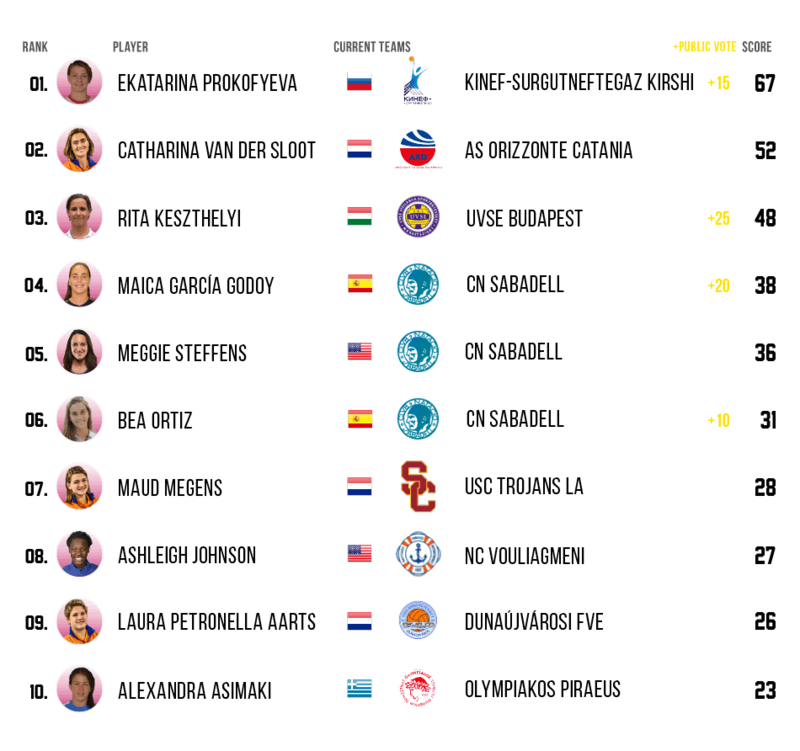 What do you get when you take the best athletes on their respective positions and join them in the ultimate roster for 2018? 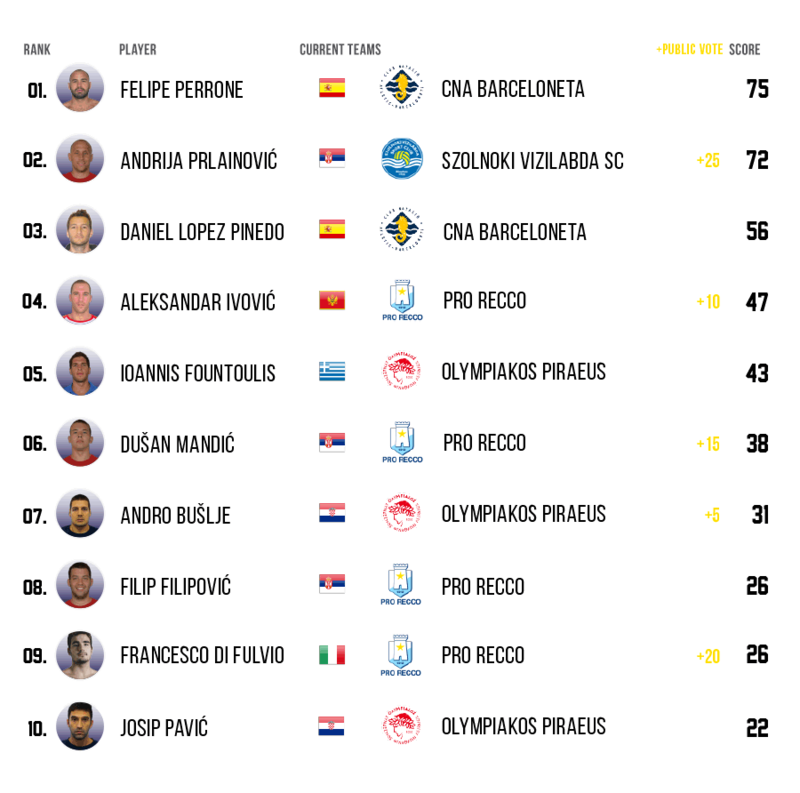 The Total Seven features the highest voted player for each position in the pool. 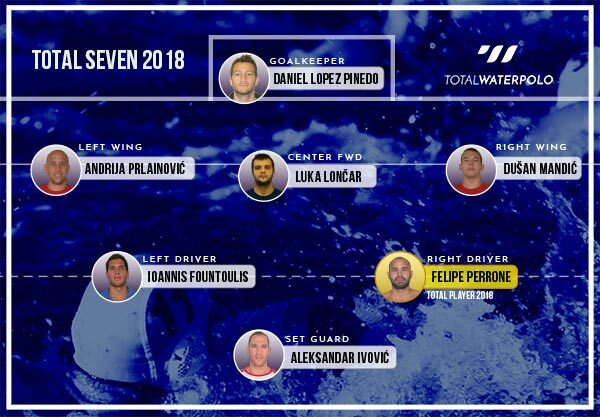 These formations speak for themselves - check out who made it into the dream team of 2018. Right winger: Beatriz Ortiz (ESP) - CN Sabadell. 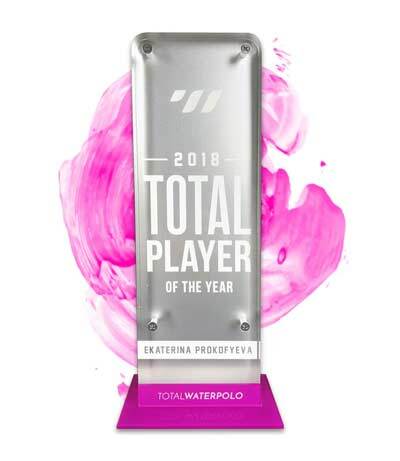 The Award grew bigger, the jury harsher, the vote larger and the community tighter - The Total Player 2018 Award exceeded all of our expectations. We watched with excitement, as the public vote grew in engagement, while more critical experts than ever joined the ranks of our jury to vote for their favorite picks of the season. 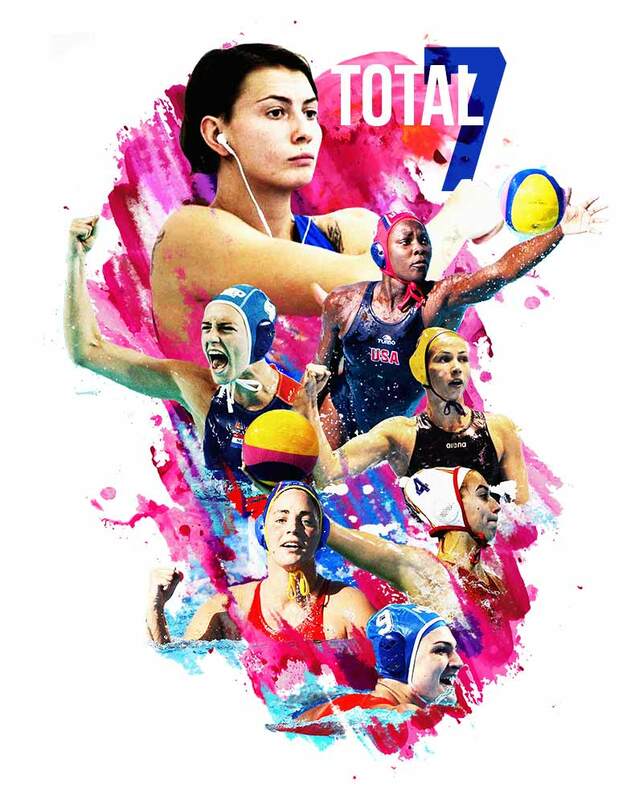 We were excited to add the female category to the Total Player Award and bring the same prestige and recognition to our dedicated ladies across the world's competitive pools. We thank all our jurors and media platforms, who responded to our call and helped successfully bring the 2nd installment of the Total Player Award to you - our engaged community. 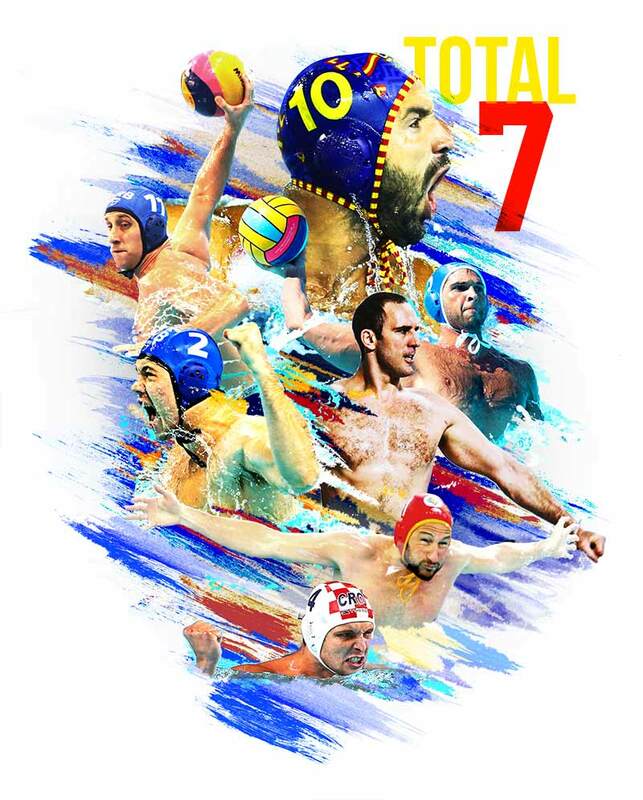 We appreciate every single vote, every comment, and every visit - we can feel your support and we will not stop to promote, improve and advance anything and everything water polo. And as you know, everybody's eyes are already wide open and looking for next season's unmatched double - so make sure to bring your A game whenever you dive into the fray.